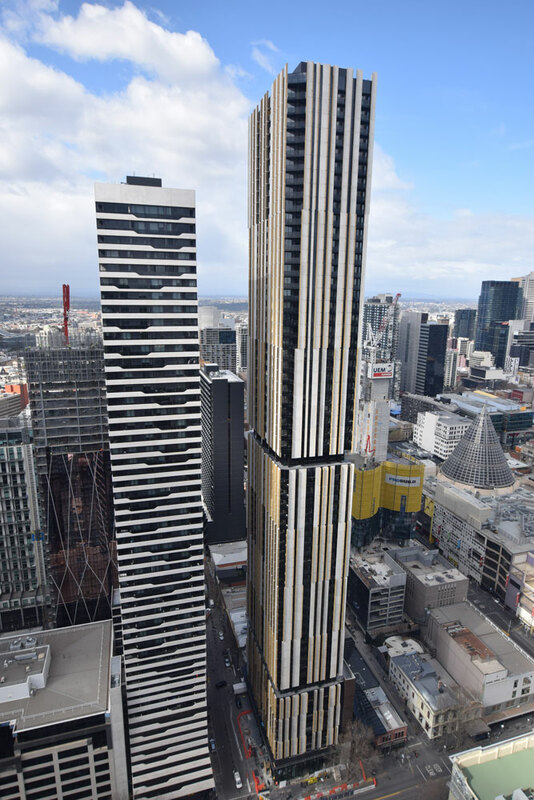 The Empire Apartment tower rises as a distinctive addition to the Melbourne skyline. A sibling project to the MY80 building, each occupying landmark sites at the intersection of A’Beckett and Elizabeth Streets. 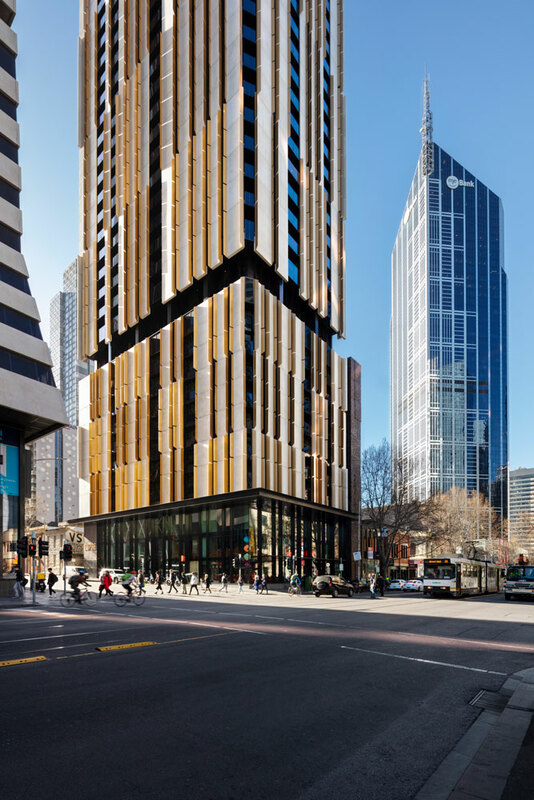 Located in a coveted corner position of the emerging ‘Elizabeth Street North’ precinct, the 62 level tower comprises 487 apartments and two levels of retail, restaurant and cafe. 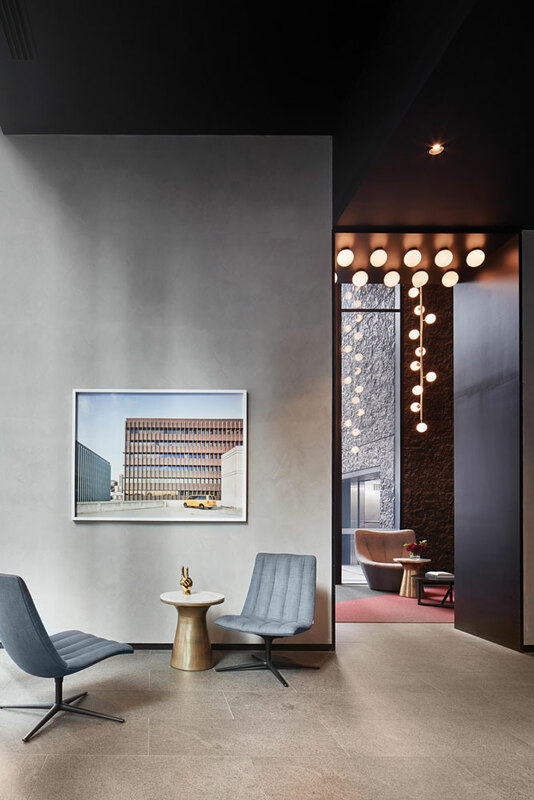 Extensive communal resident facilities are interspersed throughout the tower and include a swimming pool, saunas, gym, yoga room, bookable entertaining spaces and a lounge. 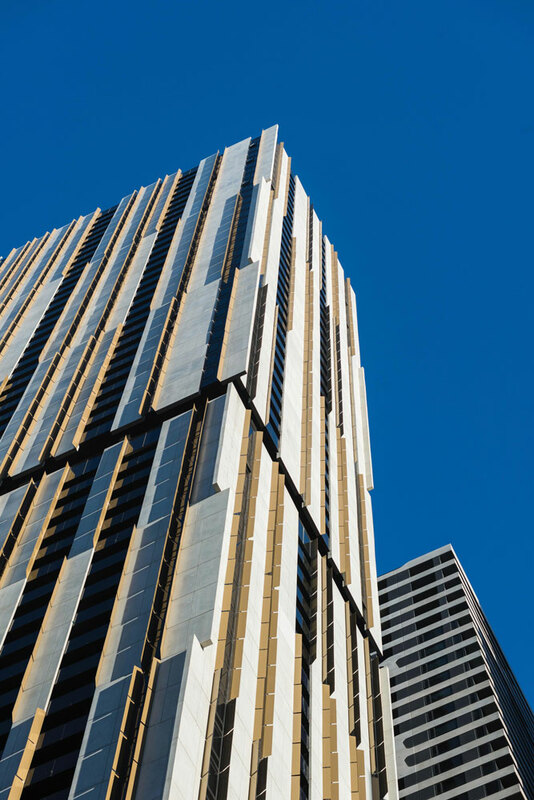 Architecturally, Empire is conceived as a singular tower form, divided into three sections and separated by giant-order floors accommodating the communal facilities. 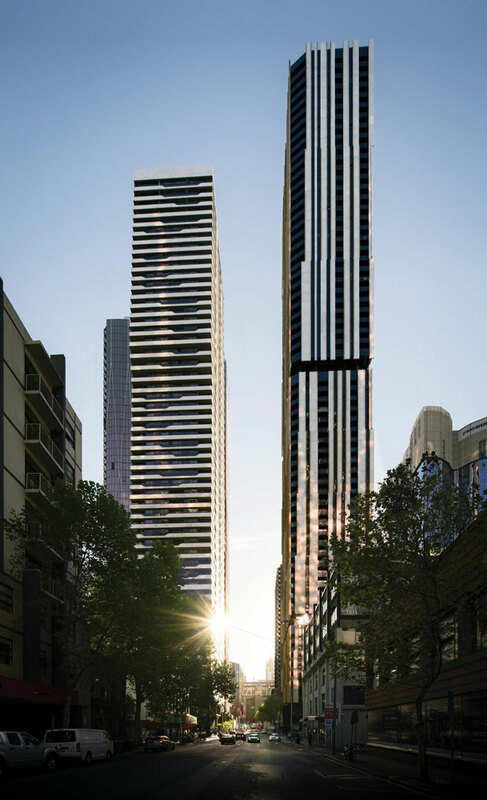 The skin geometries expand in scale with building height – vertical fluted shading blades peel open to address the A’Beckett Street / Elizabeth Street corner, evoking the towers of early modernism. 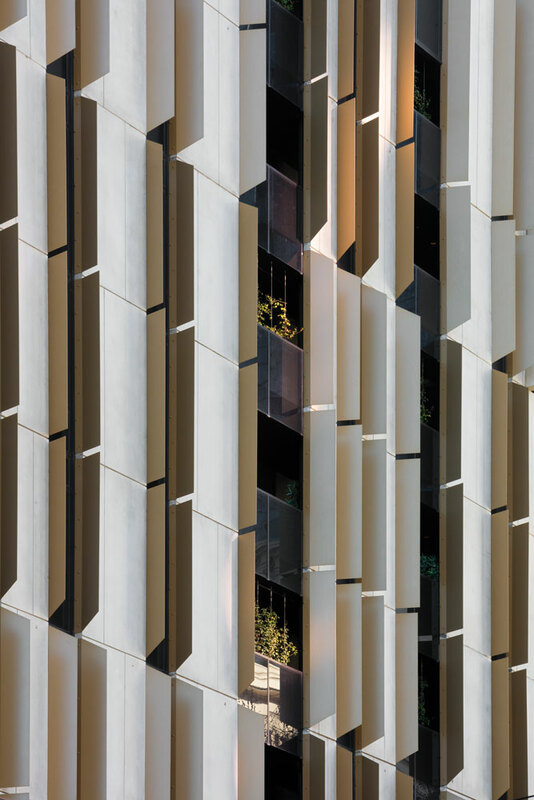 Alternating in direction as they climb the building, the blades present a fine grain expression where light, shade and reflection are constantly changing. Framing views from within the apartments, the blades will allow the penetration of winter sun and shade from the summer sun, contributing to passive solar design.